Home > Blog > Kitchen Remodeling > We Can Cook Up Some Great Ideas for Kitchen Design in Phoenix! We Can Cook Up Some Great Ideas for Kitchen Design in Phoenix! Has your kitchen gotten a little stale and outdated? If your kitchen is in dire need of a makeover but you don’t know where to start, we can help! At RW Remodeling, we’ve been creating stunning kitchens for our clients since 1995. Our staff are experts at kitchen design in Phoenix and enjoy creating unique and amazing designs. If you aren’t sure of exactly what you want, that’s no problem. Our team of designers will take the time to learn about your home, family, lifestyle and tastes—so that they can create some designs and concepts tailored just for you. And they will keep brainstorming and collaborating with you until they’ve created the perfect design for your home. If you already have some ideas and concepts in mind, that’s great. We can take those ideas to the next level with our style and design expertise, allowing us to create plans and computer renderings that we are confident will impress and amaze you. 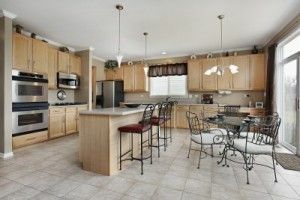 By carefully listening to your needs and incorporating our own considerable expertise, we can create a plan for a beautiful kitchen that exceeds anything you can imagine. We think you will be impressed by the new vision for your reinvented kitchen. Contact us to discuss how we can give your kitchen an incredible makeover!